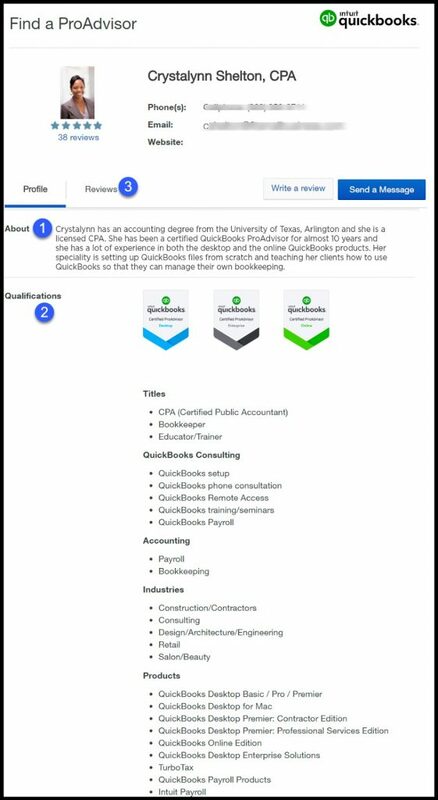 A QuickBooks ProAdvisor is a bookkeeper, accountant, or CPA who has passed one or more exams administered by Intuit (the creators of QuickBooks). These exams show that the ProAdvisor is proficient in one or more QuickBooks products. To maintain certification, the ProAdvisor must recertify every year by taking the latest exam. To find a local advisor, search more than 50,000 certified QuickBooks ProAdvisors in your area on our bookkeeping directory. There are more than 50,000 certified QuickBooks ProAdvisors in the U.S many of whom you can find in our bookkeeper directory. Another way to find a QuickBooks proadvisor near you is to check out Intuit’s Find a ProAdvisor website. This site allows you to quickly and easily search for a ProAdvisor near you by entering your city, state, or zip code. To filter the search further, you can also search by the specific types of services that you need. If your search yields hundreds of results, you can narrow it down further by selecting the type of industry. I recommend filtering by this if you are in a sector that has specific accounting requirements that have to be met. For example, a nonprofit organization has certain tax reporting requirements. In this case, it would be beneficial to hire a QuickBooks ProAdvisor who specializes in nonprofits. To have your bookkeeping prepared for you come tax season, reach out to the folks at Bench. They offer solutions for secure data-sharing, dedicated bookkeeping, tax filing, and more. Bench provides options for small businesses of all sizes, with bookkeeping packages starting at $95 per month. Accountex is a global membership community that provides training and development for accounting professionals. Similar to Intuit’s Find a ProAdvisor website, you can search for a QuickBooks ProAdvisor by entering your city, state, or zip code. However, the Accountex website is not just limited to QuickBooks experts. You can also filter your search to locate consultants who specialize in other accounting software and tools. I’m a member of a QuickBooks ProAdvisor meetup group here in Los Angeles, and we meet once a month. You can visit the Meetup website and do a search of the keyword “QuickBooks” to see if there is a group in your area. If you find a group, you can reach out to the organizer and explain that you are looking for a QuickBooks expert within the group. Local Small Business Development Centers (SBDC) are funded by the SBA (Small Business Administration) to assist small business owners at various stages of their business. They offer one-on-one counseling with SBDC Business Advisors, free of charge. Not all SBDC business advisors are QuickBooks ProAdvisors, but once you tell them you need help with QuickBooks, they will assign someone with the experience and knowledge to assist you. Check out our own bookkeeper directory to find Quickbooks certified professionals. The list includes hundreds of Quickbooks proadvisors, and lists bookkeepers in every state! The services they provide ranges from bookkeeping and accounting, to tax filing and payroll. Most QuickBooks ProAdvisors will offer accounting and bookkeeping services, QuickBooks set up (including a custom chart of accounts list and a list of customer/vendors), and connecting bank accounts/credit card accounts. 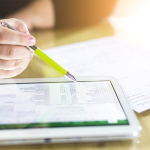 ProAdvisors who are CPAs/EA’s may offer tax return and monthly book preparation, and tech-savvy QuickBooks professionals can set up QuickBooks on a network server for multiple users. In general, this will include but is not limited to managing day-to-day bookkeeping tasks, like invoicing customers, paying bills, and reconciling bank accounts. QuickBooks ProAdvisors will often act as outsourced bookkeepers for small businesses and manage all of the company’s accounting activities. In general, this will include quarterly and annual income tax return preparation, payroll tax return preparation, and any tax payments that need to be made. It’s common for businesses to reach out to QuickBooks ProAdvisors at the end of the year for this type of planning. In general, this may include setting up QuickBooks on a server or network for multiple users to access. This is a benefit if you’re a growing business with an in-house accounting team and/or an in-house accountant in addition to an outsourced QuickBooks ProAdvisor. Below is a full list of the most common types of services offered by QuickBooks ProAdvisors along with a price range for each. 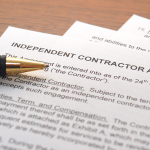 Most ProAdvisors will offer a free consultation and written estimate before starting work. Note: Please be aware that the information in the table below will vary based on a number of factors, such as geographical location and the experience and credentials of the ProAdvisor. Unfortunately, there are no guarantees that a QuickBooks ProAdvisor will help you with your problem. However, there is usually a large enough pool of ProAdvisors that gives you a good chance of finding one that specializes in the area of your need. When searching for a ProAdvisor, there are 3 things you can do to help you make an informed decision. About – In this section, you will see the ProAdvisor’s name, credentials (i.e. CPA, MBA, etc. ), experience, and information regarding the types of services that they provide. Qualifications – In this section, you will see the certification badges completed at the very top. These show what products/areas where the ProAdvisor is proficient. Below that are the titles that further describe the Advisor’s expertise as well as the industries they are most familiar with. Customer Reviews – Directly below the profile picture, you can see average ratings and the total number of customer reviews. If you click on the reviews tab, you can see what customers are saying about the ProAdvisor. Use this information to narrow down a list of the top 2 – 5 ProAdvisor’s you’d like to work with. Accountex also provides a profile for all of their Certified QuickBooks Consultants you can use. There are no ratings/reviews, but you can see the Advisor’s specialties and certifications. While reviewing the profiles will provide you with a ProAdvisor’s qualifications, industry specialty, and services that they offer, the best way to evaluate someone is by talking to them. You should therefore contact the first couple of ProAdvisors on your list and request an initial consultation. In general, this initial consult is very similar to a job interview but less formal. It is an opportunity for you to get to know this person and ask a few questions or address any concerns that you may have. It is also an opportunity for the ProAdvisor to get to know you and to learn more about your business needs. When I was running my consulting business full-time, I typically would not charge for this initial consultation and host the meeting on Skype. Before scheduling the call, I would ask the client to complete a questionnaire ahead of time. This would provide me with information about their business needs, such as whether or not they have employees or need the ability to print checks. By having the questionnaire completed ahead of time, we could spend most of the time getting to know each other. After this initial consultation, if you feel like this person might be a good fit for your business, then you should ask them to provide you with a written estimate for the services that you require. After you come to an agreement on price and before you commit, you should request a couple of references from either current or past clients. You can either call or email these references to learn more about their experience with the ProAdvisor. In general, most people will not have a problem providing you with a client reference list. However, they might need to check with their client first to get approval before you can contact them. If for some reason you encounter a QuickBooks ProAdvisor who is not willing to provide you with at least one client reference, I would consider this a red flag and a cue to move onto the next ProAdvisor on your list. QuickBooks ProAdvisors get discounts on all QuickBooks products that they can extend to their clients. QuickBooks ProAdvisors are the first to be notified of all product alerts so they can keep you informed and up to date on QuickBooks. QuickBooks ProAdvisors have access to a dedicated customer service team at Intuit who are very knowledgeable about QuickBooks and are available via telephone or chat to help answer questions or troubleshoot an issue on your behalf. The best time to hire a QuickBooks ProAdvisor is between May and October. This is after tax season is over (January through April) so your chances of receiving a return phone call are a lot higher. During your search, be sure to jot down the information for at least the top 5 ProAdvisors you find. It is possible that you may not receive a call back from one or two of the ProAdvisors that you try and contact. Remember, even if a ProAdvisor does not prepare tax returns, January through April is the busiest time of year for a QuickBooks consultant because they are flooded with assisting both new & existing clients who need to get their books ready to hand over to their tax professional. This is why it’s important to engage a ProAdvisor early so that you’re set up for next tax season. A QuickBooks Online ProAdvisor can help you to set up your books, train you and your staff, and manage day-to-day bookkeeping. You can find ProAdvisors locally or virtually. In general, it’s probably going to be a bit cheaper to go with an online bookkeeping service rather than a local ProAdvisor. I’m glad that this article talked about QuickBooks ProAdvisor. Nicely elaborated and amazing ways to identify the QuickBooks ProAdvisor. I am a QuickBooks ProAdvisor for the past 2 years. I live outside of the USA. I was on the Find-A-ProAdvisor listing just before it was time to resit the recertification examinations. QuickBooks asked me to submit proof of national identification card, passport, driver’s license, company registration documents. I scanned and submitted these documents to QuickBooks. Today, QuickBooks emailed me to say that they are not verify my documents and so they are unable to publish my profile to the Find-A-ProAdvisor listing. So they are deleting all of my business documents from the Find-A-ProAdvisor listing. I do not know what more, I could have done to prove my submitted information. I’m sorry to hear about your situation. While I have not been asked for documentation that proves my identify, I do have colleagues here in the U.S. that have been asked for this information. I would find out exactly why your documents do not meet their required standards for identity and I would also ask if there is some sort of “appeals” process to reconsider. Unfortunately, that is all the advice I can give you. I hope it works out. I’m glad that this article talked about QuickBooks ProAdvisor. We’ve been planning to add help to our business since we’ve recently just started one and it’s honestly overwhelming. It’s nice to know they can help set up the company file to manage better the bookkeeping, I believe QuickBooks will add efficiency to our daily operations and it’s a great contribution to the company. Hi Dan, glad you liked the article. QuickBooks will definitely help you to become more efficient by eliminating some if not all of the manual tasks that you do today. We also have a free QuickBooks course that you should check out. It includes a total of 39 video tutorials that walk you through how to set QBO up and run your business. I think it will be very helpful for you to quickly get up to speed with Quickbooks after your ProAdvisor has set things up for you. You can access it via this link: https://fitsmallbusiness.com/free-quickbooks-online-tutorials/. You are very welcome Jac! Thank you for taking the time to read our articles. Thanks for sharing an article about QuickBooks ProAdvisor. Nicely elaborated as well as given the links & ways to identify the QuickBooks ProAdvisor nearby the location. If I want to be a QuickBooks ProAdvisor, what are the eligibility criteria requires? Glad you liked the article. To be honest, there are no eligibility requirements to sign up to be a QuickBooks ProAdvisor. To be a QuickBooks Desktop Proadvisor, you must pay $500 annually. With this membership,you will receive all of the desktop software that Intuit offers and you will also get a free QuickBooks Online (QBO) account. If you are interested in becoming a QuickBooks Online ProAdvisor then you can sign up for free! To be included on the ProAdvisor page, you must take the certification exams to become certified. Study materials along with the exams are included when you sign up for the ProAdvisor membership. You can learn more about how it works here: https://quickbooks.intuit.com/accountants/proadvisor/.